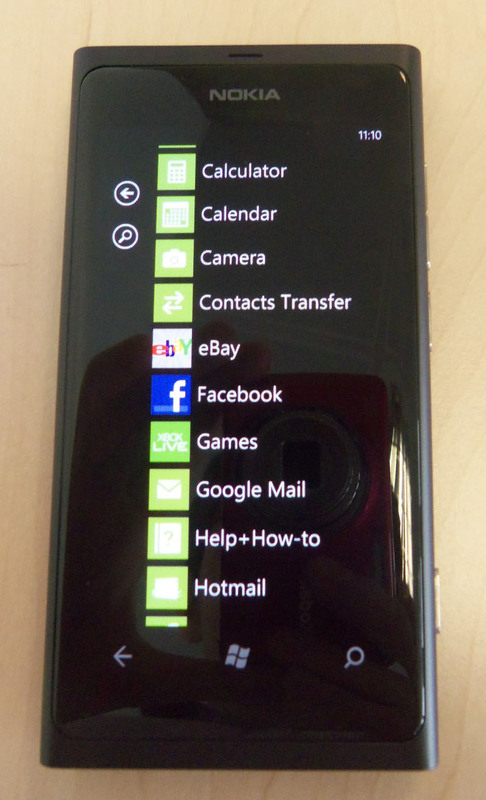 Review: The Nokia Lumia 800. Nokia's not-so-secret weapon? The biggest question that should follow the release of the Nokia Lumia 800 is, could this be the phone that douses the flames which currently engulf the Finnish giant’s platform? Stephen Elop seems to think so and, before I even picked up the Lumia 800, it is immediately noticeable that Nokia are on the path to recovery. Don’t get me wrong, they aren’t out of the woods yet, there is a lot more work to be done. However, the buzz generated around Nokia World, where the Lumia 800, 710 and the Asha line were unveiled, is a start and it shows Nokia still has a legion of faithful followers. Nokia’s new flagship Windows Mobile device won’t make or break the company but, if the Lumia 800 is well received, it will go a long way toward potentially turning the company’s fortunes around in 2012. If I was drinking coffee when I was handed the Lumia I would have spat it out everywhere in shock, you know, like people do on TV. Nokia has done something different! There are no other smartphones out there that look like this. Oh apart from the N9, which is almost identical. But apart from that it is in a class of its own. The simplicity, blending of curves with sharp edges and top-notch build quality make this Nokia an immediately very attractive prospect. The N9 may have a front-facing camera, notification LED and a slightly bigger screen but the functionality that the Lumia has lost because of these omissions is almost made up for in that it just looks so clean cut. 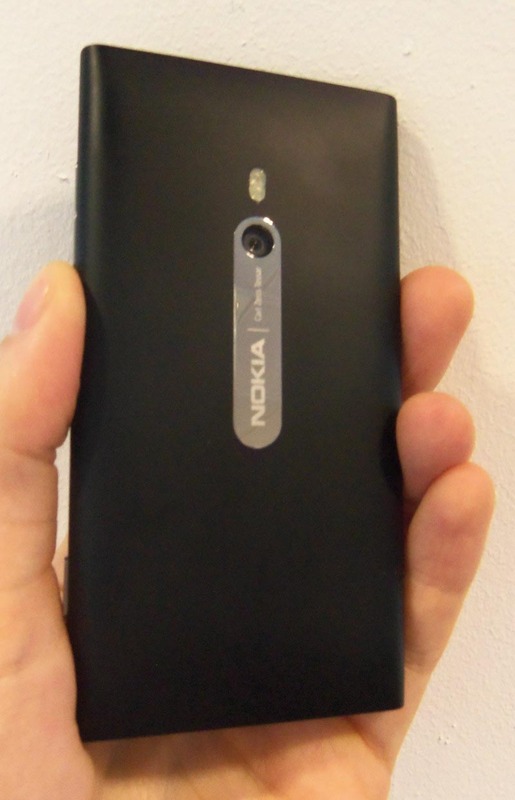 The convex Gorilla Glass screen is such a distinctive feature and, along with the polycarbonate casing, it makes the Lumia 800 extremely scratch resistant. Looking at the Lumia I’d thought it would have been lighter but still, 142g isn’t going to drop your pants when you put it in your pocket. It measures 116.5 x 61.2 x 12.1 mm, making it rather deep. I prefer this look over the ‘slate’ style alternative HTC Titan, which also runs Windows 7. The left side of the Lumia is feature free, with the camera, volume rocker and on/off/lock button all lining up on the right. All the buttons are made from proper metal, not cheap plastic painted silver. The speaker and microphone are behind a grille, which has been drilled directly into the bottom of the handset. 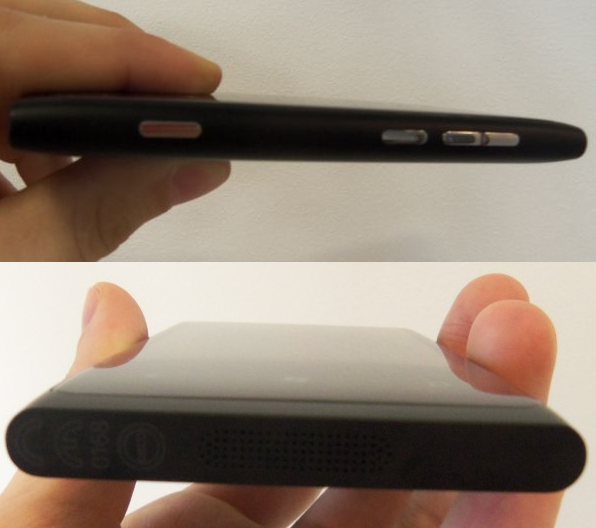 The top of the Lumia 800 is where you will find the earphone jack along with something you don’t see very often, a flipping plastic door (covering the usb/charger port) and a sliding door (that houses the simcard). The flipping door is the only part of the device that calls the build quality into question but, thankfully, it’s an easily replaceable part. Marks for trying something new though. The Lumia 800 has a respectable 16 GB of storage but only 512 MB of RAM and there is no card slot to expand memory. The processor may only be single core but it is a 1.4GHz single core bundled with an Adreno 205 GPU, Qualcomm MSM8255 Snapdragon chipset and 3D Graphics HW Acce. What matters is that most apps open in under a second and multi-tasking (listening to music and playing a graphic heavy game or editing a file in Office) is not a problem. Back to the convex screen, it just gets cooler with Nokia’s ClearBlack technology. It is essentially the same as Samsung’s AMOLED screens. It means the screen, when black, is the deepest darkest black possible. 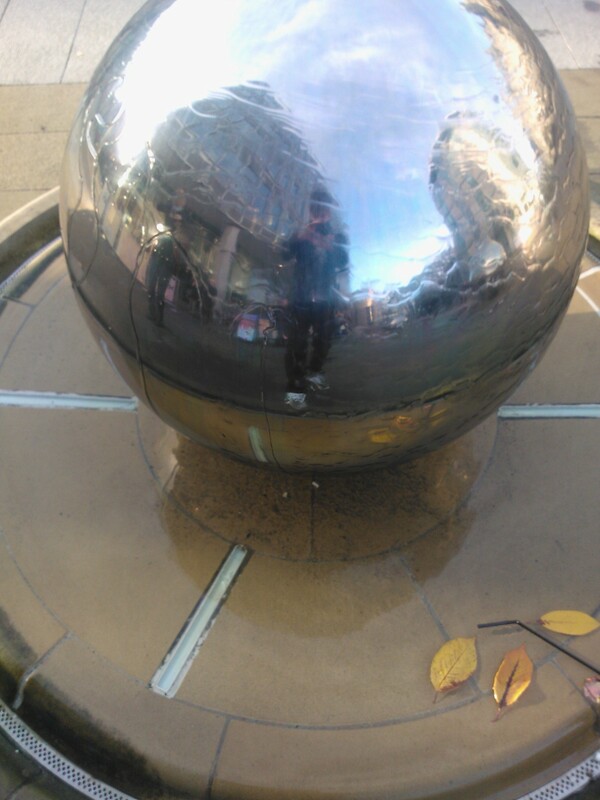 The 8 MP camera that the Lumia possesses is the same one that can be found on the N9. It comes with a Carl Zeiss Tessar lens set and has a pretty impressive autofocus. This can be activated by either half pressing the camera button or by tapping the object on the screen once your shot is lined up. In both instances the response is almost instant. It also features a dual-LED flash. One thing I did notice is that in artificial light the Lumia’s white balance can quite easily become distorted, adding an overly orange/pink tinge to images. The Windows camera interface is neat, teetering on boring almost, but it offers all the functionality you need; exposure compensation, metering mode, white balance, contrast, saturation, focus mode and resolution, to name a few. Settings can be saved, rather than returning to defaults, which is useful if you plan to do a lot of photography in a certain environment. There are better cameras available, the Galaxy SII and iPhone 4S spring to mind, but Nokia’s efforts are far from a disaster. Video can be shot at 720p, 30fps, which is fast becoming the only acceptable level of video recording on smartphones. However, like many rival handsets, the Lumia experiences problems with focusing at the beginning of videos and fast movement. N.B. You may need to change it from playing in 360p, YouTube’s doing, not mine. Had Nokia nailed this then it could have added another invaluable string to the Lumia 800’s bow. The best way to describe the operating system is free-flowing. Windows has moved with the times and Mango is further proof of that. The colourful tiles on the home screen, which can be changed to a variety of different colours, could have become boring had some of them not been made ‘live’. For example, the ‘People’ tile twists, revealing images of your contacts, the Xbox Live Avatar pops up in his/her tile and the ‘Pictures’ tile pans through your images. Nokia Drive – A SatNav that comes with a whole host of downloadable maps. A welcome addition and potential money saver. Nokia Music – A radio player that displays genre tiles so it’s easy for you to find that German HardHouse or Susan Boyle, depending what you’re in to. App Highlights – This app suggests and recommends apps for you. Not a bad time killer. Microsoft hasn’t let Nokia take up all the memory though, they’ve found room for an impressive looking Office suite. 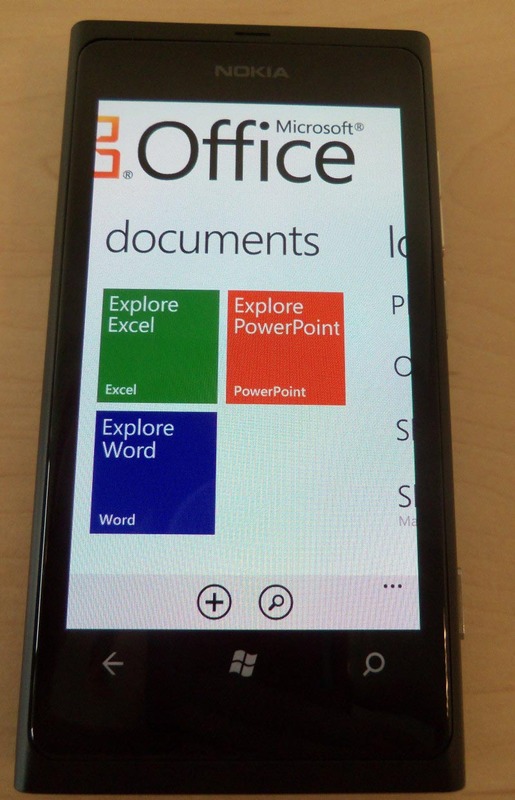 Word, PowerPoint, Excel and OneNote all feature. The screen size may make extensive editing a little tricky but should something pop into your head on the way into work it will certainly be handy. 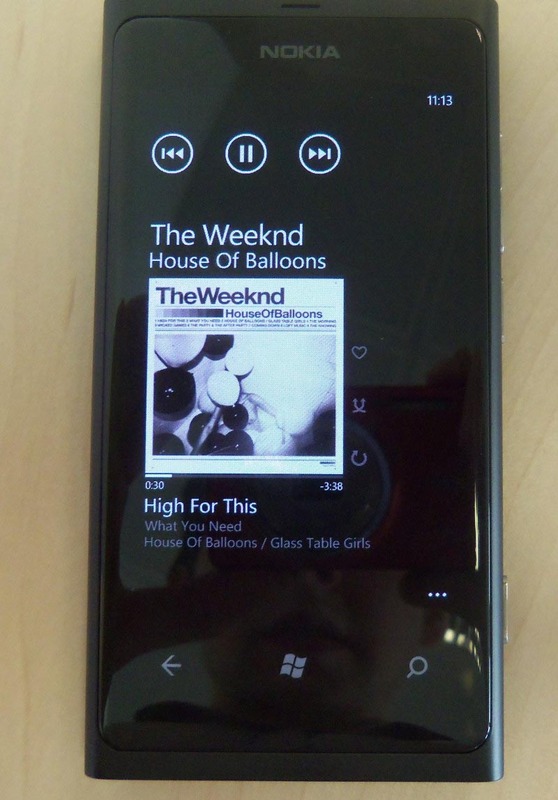 Microsoft’s Zune software, which is solely for use on Windows phones now that Zune players have being killed off for good, works excellently. Highlights include the tiled layout of play history and Zune going out and collecting image and album artwork for your library. The Xbox Live app houses downloaded games, offers an overview of your Xbox account and achievements, along with the latest news from your friends and announcements from Xbox. As for the rest of the apps, they are literal finger tip away. A swipe left reveals a vertical list of your apps. The market place will obviously grow, it will have to, but for now it offers everything you need. I filled my boots with Twitter, Sky News, Whatsapp, eBay, Facebook and TVguide to help me survive. There were two little features that impressed me, the first being a notifications bar, which can be slid away and ignored or tapped to take you to the related app. This worked instantaneously. The second was that if you press and hold the ‘back’ button the Lumia displays all the apps and pages you have open, allowing to slide through them, closing or revisiting them. The contact transfer tool, which works via Bluetooth, saves you the god awful job of manually copying numbers over or trying to take them from a file on my PC. Pat on the back for Nokia here. However, when you sync your accounts, be it Windows Live, Yahoo or Gmail all your email contacts get shoved in the ‘People’ tile. This may not annoy some people as much as it annoyed me but I’m not keen on having to scroll through a load of unnecessary email addresses to find a person’s phone number. The only filter you can apply is one that removes a whole account, which isn’t all too helpful really. Hopefully an update will address this. While I’m moaning, the lack of USB mounting is also a huge pain. The reliance on Zune software to add and remove media or files is a significant downside and one that Nokia should not have overlooked. Anyway, at least the keyboard works well, mistakes are not impossible to make but they tend to happen when you begin to type at a fast pace. I have also come to the conclusion that Bill Gates likes smileys as well. Want to know why? 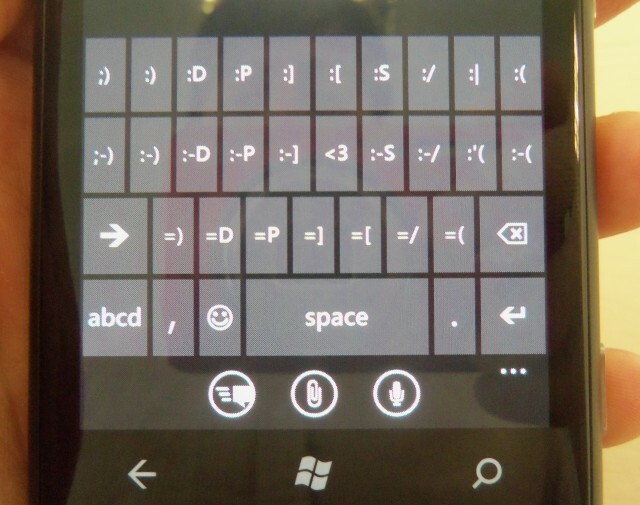 Well there is a dedicated QWERTY layout just for smileys, a tad excessive but another time saving tool I suppose. Nokia’s bread and butter is building phones, they’ve been doing it for years and have one of, if not the largest back catalogue in the mobile industry so I was expecting big things here. The active noise cancellation with dedicated microphone promised so much but, in reality, it delivered very little. Sure the recipient could hear me fine but I struggled to hear them as the earpiece isn’t too powerful. We both noticed that during calls it can often sound like you’re conducting your conversation from within a large box. The sound seems to reverberate but it wasn’t an obvious echo. However the Lumia was at least able to maintain a strong signal and even find signal in places that my iPhone could not. Nokia claim standby times of up to 265 h (2G) / up to 335 h (3G) and talktime of up to 13 h (2G) / up to 9 h 30 min (3G). In reality, the Lumia 800 didn’t come close to those figures. Granted I had all the apps running push notifications but, unusually for a Nokia, the handset struggled to see me through the day. After turning of Xbox Live updates (which, according to Nokia, eats up the most battery life), Bluetooth, WiFi and changing my email to update every 15minutes rather than constantly checking, the battery life almost doubled. The Nokia Lumia 800 and Windows Phone 7.5 feel like they have been made for each other. The unmistakeable looks of the handset and the, surprisingly, glitch-free OS are a credit to both Nokia and Windows. It becomes all the more impressive when you take into account that the Lumia 800 was designed, built and tested all in the space of six months. Other than the fact the Lumia is almost identical to the Nokia N9, there is no underlying sense that the handset was rushed, which is a relief. The lack of a dual core processor, which are fast becoming standard fare, isn’t really noticeable, the simple yet functional OS feels so light that it could quite possibly be powered by a hamster in a wheel. 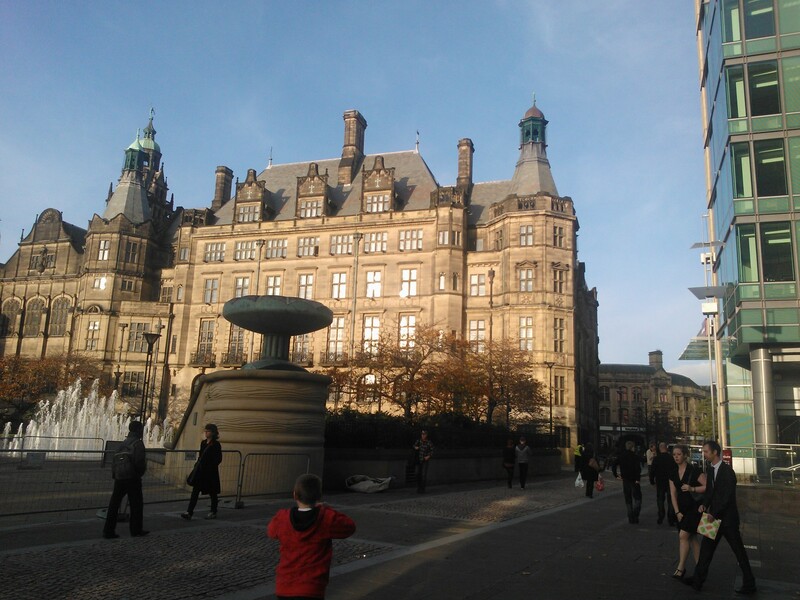 There are a couple of downsides to both the Lumia handset and the Windows OS, namely the lack of a front facing camera and no USB mass storage, but they are no more than gripes really. If you are a big Windows fan, using it in the office and at home, then this may well be the phone for you. However, with Windows 8 Apollo in the pipeline it may well be worth waiting to see how Nokia’s relationship with Windows progresses.